The long, landscape format of the 1250 creates a striking centre piece that meets a variety of different interior design styles. 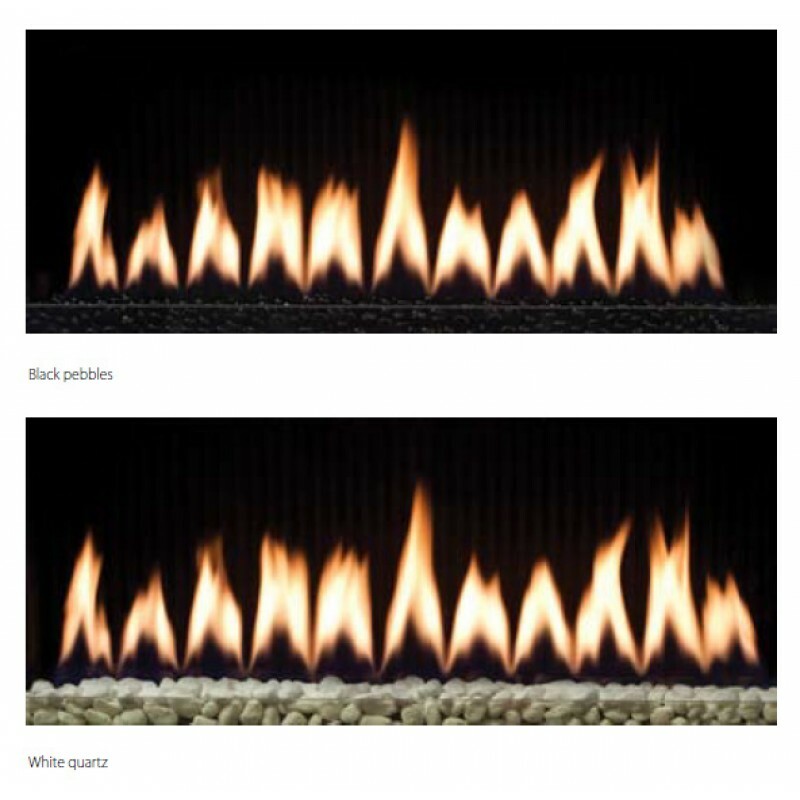 The logs are modelled on the traditional look of split wood with granules scattered across the base of the fire to give a beautiful, glowing flame. 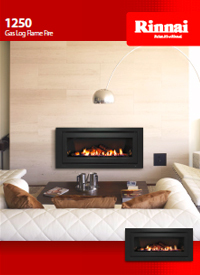 The 1250 also offers a modern twist; glowing pebbles that radiate warmth are available as an alternative to logs. 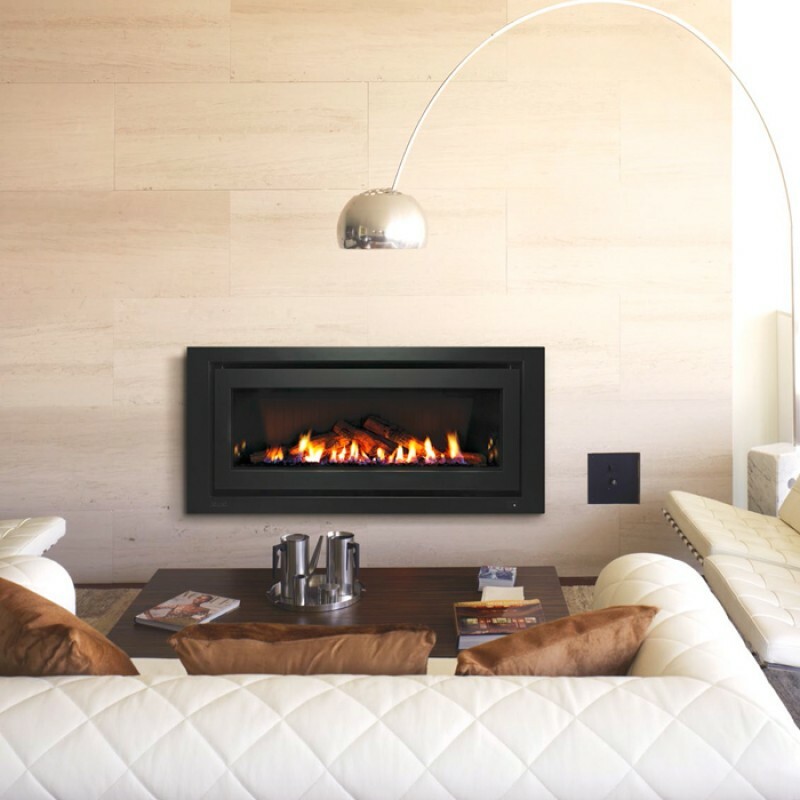 The 1250 features advanced “power flue” technology, which means a fan is used to force the exhaust air outside – allowing for a range of flueing options like underfloor, sideways or direct. 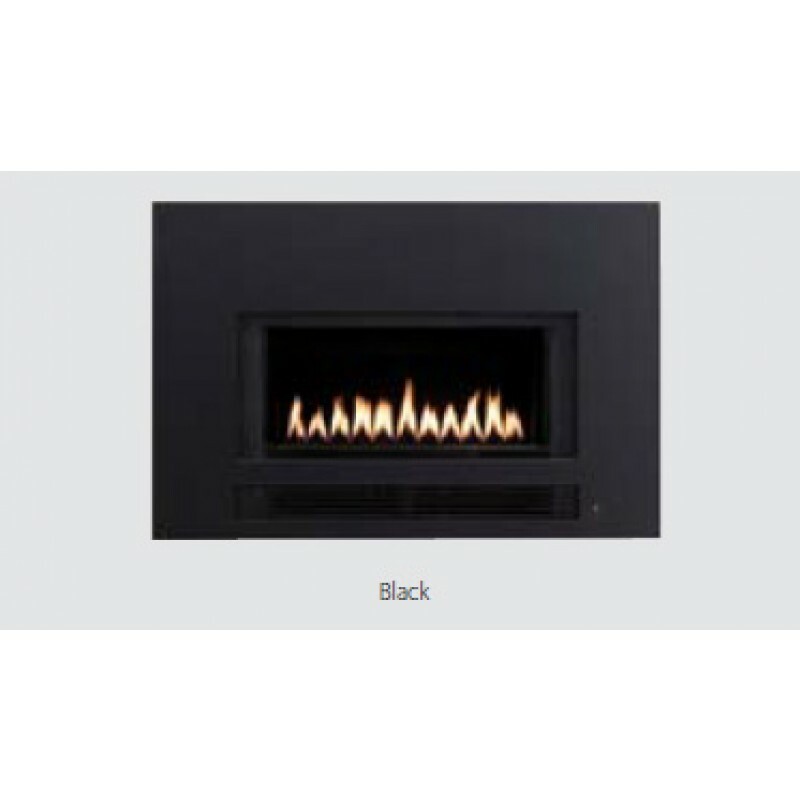 Unlike a conventional gas fire which must be vented vertically, the 1250 can be installed in a variety of different applications. Rinnai’s high performance heat exchanger technology makes the 1250 a powerful heater, perfect for heating large, open plan living areas. The quiet fan and rapid warm-up time help to quickly create a comfortable environment on those cold winter nights. Featuring a highly efficient 5.5* star energy rating, the 1250 is leading the way and pushing new boundaries of energy efficiency. Aside from reduced running costs, the high efficiency rating also helps to protect the environment generating fewer greenhouse gas emissions compared to inefficient heaters. The 1250 has the option of reflective side panels to enhance the glowing flames. 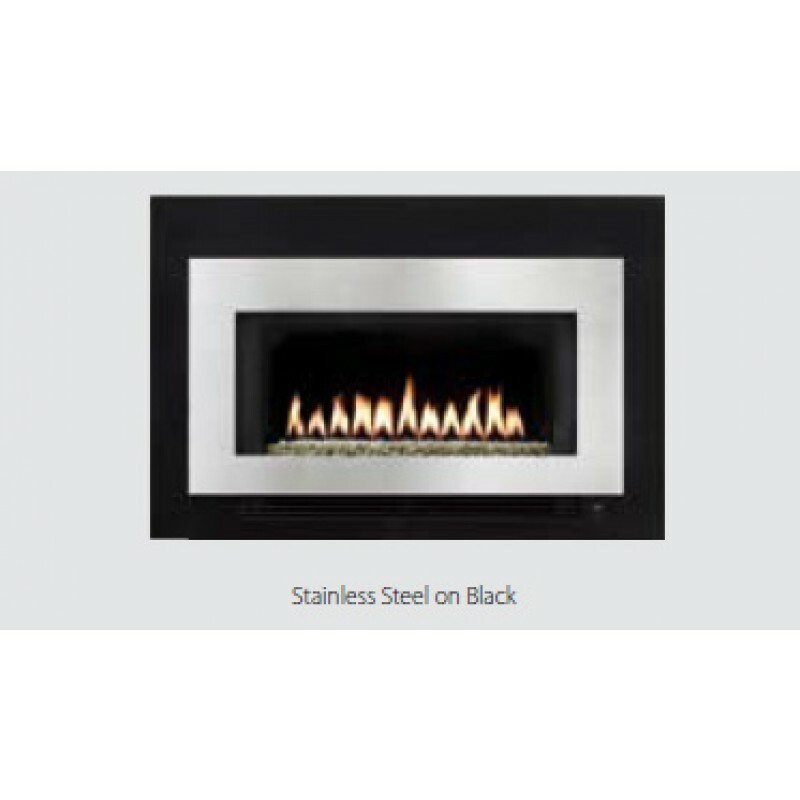 Black vitreous enamel panels have been designed specifically for the 1250, giving the illusion of an everlasting flame with a subtle presence when the appliance is not in use. The first 100 Rinnai 1250 gas log fires sold will include packaging that transforms into a submarine! This limited edition packaging will be a hit with young children whilst you relax in front of your brand new fire.